The 159th release on LuPS brings an Original from Slovakia based producer Ladislav Zajic aka Domased Electronica. 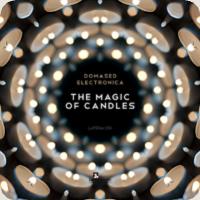 With a string of releases on labels like Mistique, Morphosis and Mestiza it is now time for a rocksolid track on LuPS called The Magic Of Candles. The Original version is a dreamy and fragile track with lots of warmth and depth. Ladislav blended together lots of soundlayers and created and enchanting atmosphere with a stunning and dazzling breakdown section which sounds like a fairytale adventure. The first remixes comes from no-one less then Matias Chilano. His remix is simply amazing and contains a great bassline and crispy percussion which gives the track a great drive and flow. Furthermore to round it all up Matias added a couple of new very catchy synthstabs and voxsamples to create a perfect soothing atmosphere. Once again Matias proves why his name is still rising. 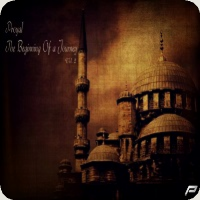 The second remix comes from Bulgarian producer Alessandro. After his very well received Utopia EP on LuPS he now shows up with a stomping remix. He took one of the main catchy synthstabs of the Original version and builded a rocking and steamy groove around it with surely rocks the floor. Also Alessandro added some vox snippets to his remix which gives the whole track a more ethnic flavour. This remix is a peaktime hour bomb track with a rather energetic groove. Last remix comes from Jacco@Work. His remix kicks of with a rather organic beatloop and a deep bassstab. After 30 seconds a driving percussionloop drops in and together with a bumpy bassline the road has been cleared for a pretty dancefloor friendly warming up tune. Also Jacco@Work added some extra fx’s in the breakdown section like eerie violins, deep resonating space sounds, talking people and a breakbeatloop which turns the track into an bum shaking track after the breakdown. 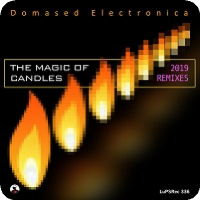 Domased Electronica made a much anticipated return to electronic music in February with his first production in over two years entitled ‘Temple Of Art’. The project was released by Michael & Levan and Stiven Rivic’s Mistique Music imprint and has been one of the labels biggest releases this year. Domased then went on to appear on LuPS and Mistique with 2 remixes and this week sees his second single of the year once again coming courtesy of Mistique Music. 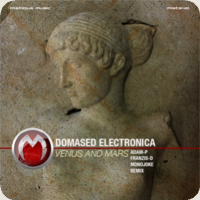 Domased Electronica’s newest studio creation is entitled ‘Venus and Mars’ and it comes with remixes from: Adam-P, Franzis-D and Monojoke. 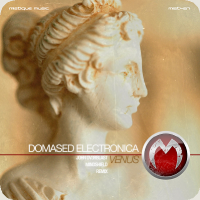 The ‘Venus and Mars’ original is one of Domased Electronica’s purest progressive house records to date. The warm, surging bass tones and perfectly contoured synth stabs work together for the ultimate driving groove while the ever so subtle atmosphere escalates towards the main break. Here a celestial glow comes over the track with haunting pads, melancholic bells and smooth chord changes which create a soundscape that is deeply emotional and a bit eerie. The beauty of the drop is how unique all the emotional elements sound together and how well they continue to play off each other as the groove returns for a heartfelt finish. it’s a fabulous composition from Domased Electronica which we rank as one of his coolest to date. The first remix comes from Adam-P who is returning to Mistique for his third overall appearance and second remix following reworking Kay-D’s ‘Eastern Symptom’ in November of 2012. 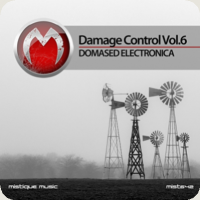 Adam’s deeper and more atmospheric sound proves to be a great complement to Domased’s bigger more driving original. Hovering atmospheres, subtle vocal elements and celestial electronics combine with Adam’s deep but still very floor friendly groove for what results in an ideal warm-up record. The next remix comes from Spanish producer Franzis-D who has just come off a wicked remix for Deepsessions of Igor Zaharov & Sober System’s ‘Thin Line’. Franzis is known for his tough, techy sound so it makes perfect sense to get a remix from him here as he can likely deliver an excellent alternative to the more progressive and deeper mixes previous to it. Franzis’ strong percussive sound works in perfect contrast to the celestial atmospherics here and although deeper than what we’re used to from Franzis it still packs some serious punch for the dance floor. Closing the package out is Monojoke who is making his 5th appearance on Mistique. The Russian producer has been making some noise of late with his new Telekollekiv alias and he provides a wicked prog house interpretation here. Filled with big warm beats, rumbling bass tones, a wealth of sonic sounding electronics and a melancholic breakdown for the ages this easily ranks up there with Monojoke’s best work ever. One of the most haunting progressive house tracks we’ve heard this year and it puts a perfect cap on another great package from Mistique.